Walnut Shell Powder is prepared by controlled grinding of the shells of walnuts. Use this fine grain exfoliant in your soaps and scrubs to provide a gentle exfoliation that will leave skin soft and smooth. Use it soaps, face scrubs and body scrubs. Walnut Shell Powder is a natural powder made from ground walnut shells. This Powder is good for soft areas of the skin, like the face and hands. Physical Form: Brown Powder. Very Fine. Add to base, amount as desired. Smaller amounts will provide color variations in products. Larger amounts will provide exfoliation. When using in soaps & washes, we recommend the suspension bases which prevent additives from sinking to the bottom of the container. COMMENTS: As an additive in CP, they're GREAT! They're the perfect size & "scrubbiness" for a wonderfully exfoliating soap without feeling harsh or abrasive. I HIGHLY recommend these for that purpose. COMMENTS: I wanted to make an exfoliating face wash, so I went with the soy scrub at first, not only myself but a few others found it too harsh, then I tried again with the crushed walnuts and oh my gosh. It buffs perfectly, feel great on the skin, and you barely notice its there as you exfoliate your skin. "Just the right amount of scrub"
COMMENTS: I use this in my scrubs and sometimes my soap. Provides just the right amount of scrub. COMMENTS: I love how these feel in my soap. Just exfoliating enough, and not irritating. They seem to bleed brown slightly around each shell piece. Looks very nice and earthy. No complaints! COMMENTS: The texture of walnut shells in soap is fantastic, these are ground finely which makes a very even exfoliating experience in the shower. These have fast become a best seller no matter what fragrance I pair them with. COMMENTS: I use walnut shell in my soaps and scrubs to assist in getting rid of flaky, dry skin. It does not leave my skin feeling stripped or raw and tender. My customers love it! will purchase more. COMMENTS: This is a super fine powder - and it blends in well! COMMENTS: a nice additive to my face exfoliators. COMMENTS: Love the way it is not too abrasive on my skin. COMMENTS: I love the walnut shells for its exfoliating properties. COMMENTS: An easy product to use. Like the texture & color and great pricing. • Easy. Texture & color. Effect. COMMENTS: I like to use this product in my soaps & in body scrubs, very exfoliating & the price is very reasonable. "Mechanic soap is a hit"
COMMENTS: Nice and scrubby, took the grease and grime right off. It does turn your soap brown or speckled brown but this is a functional soap so I didn't care and neither did he. COMMENTS: I didn't know what to expect, but right after first use I am addicted to this! Love love in soap and scrubs. My husband tried it and said that it really works for his hands after working on cars. I am definitely a repeat customer. Thank you!! COMMENTS: this product is perfectly perfect. fine ground walnut shells make for a perfect add-in to anything. i use it for soaps and sugar scrubs ! COMMENTS: I really need a nut exfoliant for skin that really needs to be exfoliated, this is way too fine. COMMENTS: I use this in my mens facial cleansing line and it is just the right amount of exfoliation. Im glad I got it from WSP instead of the other guy. There is a huge difference. • Grain size and color. COMMENTS: Good Product, especially for exfoliation to help rejuvenate the skin. COMMENTS: I add this to my scrubs, I love that it is scrubby but not abrasive enough to leave your skin raw and irritated. "Great for an exfoliating soap"
COMMENTS: I used this in my CP soap and was very pleased with the results. A little goes a long way. COMMENTS: Very gentle on skin! Love this in all my soaps for the body! 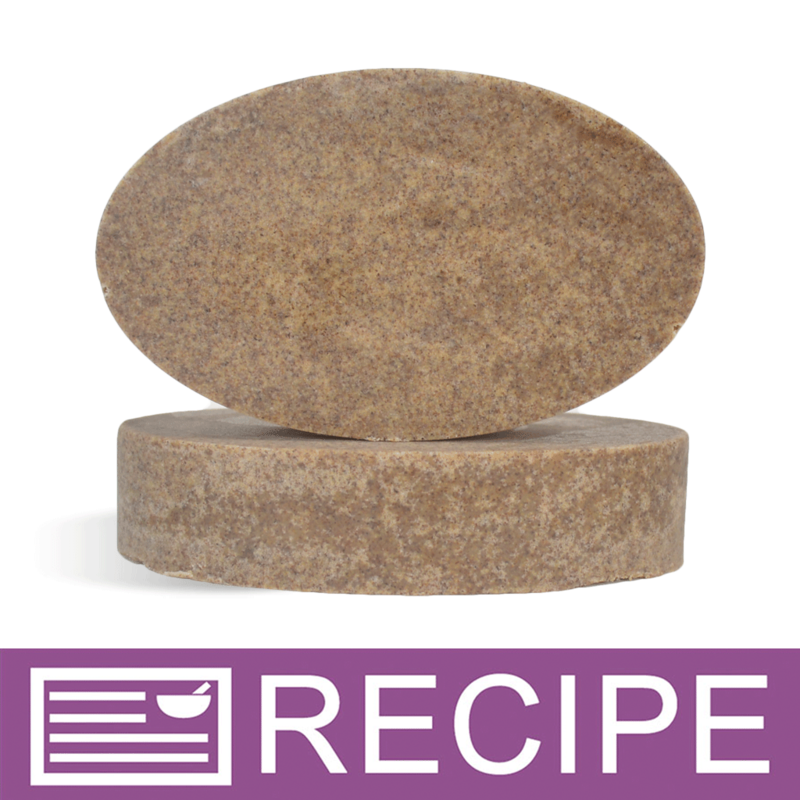 COMMENTS: I added walnut shell powder to the base of my soap and love it! It gives a gentle exfoliation while showering! Perfect! COMMENTS: Used this in my mechanics/gardener's soap and it provides a nice scrub for the hands. Very pleased with it and will purchase again. COMMENTS: I use this is a gardener's soap and it gives a nice exfoliating experience. 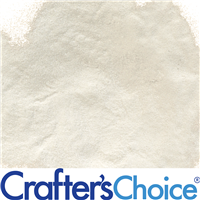 COMMENTS: Walnut Shell Powder works great for me as a mild abrasive in hand soaps. Men seem to really like it for helping get the grime off their hands. Anyone that gardens like it for getting the dirt off of their hands. Walnut Shell Powder is a great product. I never want to be without it. 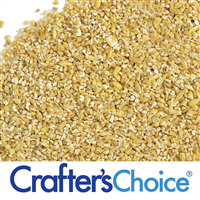 "Very Smooth and incorporates well"
COMMENTS: Great product. 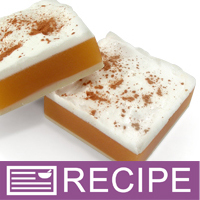 Mixes well into hp soap, melt n pour soaps and body washes. COMMENTS: This walnut shell is such a pretty color to soap. It's a natural color. I love it. COMMENTS: I use this in my coffee cp soap along with coffee grounds. Adds a great mild exfoliant. Will continue to order. COMMENTS: This really friendly products up a notch I love the two tone color it gives my sugar scrubs and it's also not so abrasive. "Excellent exfoliator! used in melt and pour and CP"
COMMENTS: Highly recommended, Excellent for use in melt and pour and cold process or hot process soap making. 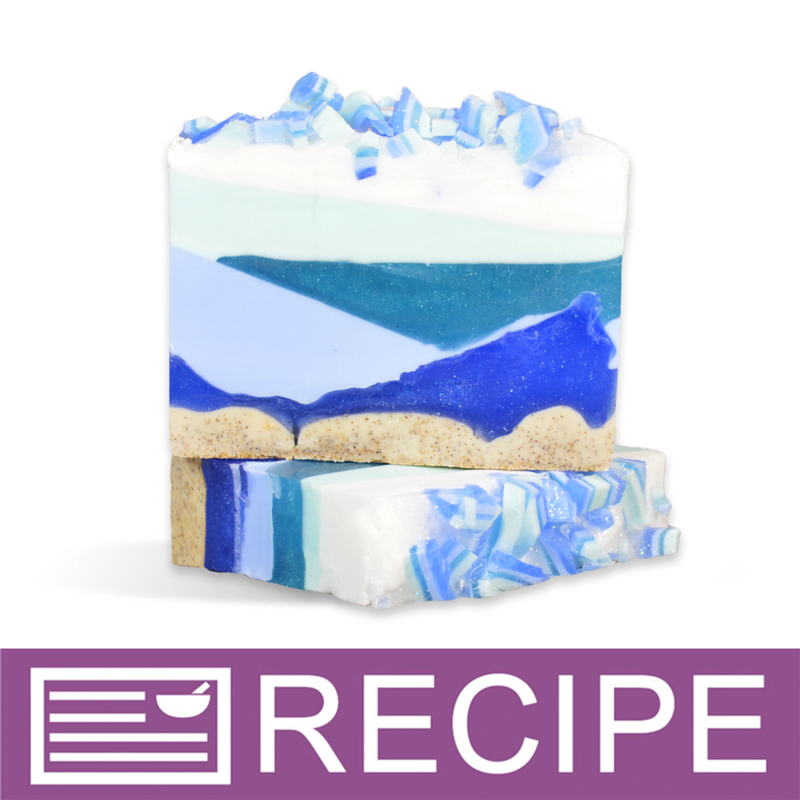 COMMENTS: Perfect to add a little scrubby texture to cold process soaps. The product actually seems to go farther than it looks like it would. Will definitely be ordering a larger size next time. "Very fine grit, easy to use"
COMMENTS: I was expecting this to be coarser than it was, but I do like the way it came out in my soap. I used it to top a Pink Sangria bar and it scrubs very gently. 1lb bag can go very very far, I was surprised at how much was in it. COMMENTS: This is a great exfoliant to add to your CP soaps! It is of excellent quality. Men in general like it as well to get off that tough grime! This is a great price and fast shipping. I highly recommend! COMMENTS: I expected this to be a little more coarse but I still threw in my scrub and I like the grit. COMMENTS: I used this in my gardeners soap. It turned out well. I did layers of walnut shell, pumice, and poppy seeds alternating in different bars. My customers loved it. COMMENTS: I use this in a soap I make for mechanics (or anyone else with really dirty hands) and it work great. Just enough abrasive to really scrub hands clean, without irritating skin. I don't use a lot of it at one time, but I will always have this in my stock. COMMENTS: I really like the crushed walnut shell powder. I've used it in several of my projects and especially like it in soap and lip scrub. In lip scrub, the key is to not use too much. A little goes a long way. COMMENTS: this product is so good. I just love it at first sight. it doesn't cause itchy for my sensitive skin but does a good job for removing dead skin on my face and body. The price is also good. I'm impressed with the delivery time. They did a good job so that I didn't have to wait so long to receive this awesome product. COMMENTS: I made a peppermint foot soap with this, added fine pumice as well. Exfoliates heels and leaves no roughness. I also added this to my gardeners soap for a gentle scrubbing agent. COMMENTS: I use this in M&P. Not too rough but not to gentle. It does color the soap and if left on something white like the bathtub edge it will show but not stain. I will definitely buy again. COMMENTS: I used this product as a middle layer in my CP soap. It looks awesome! It turned a very dark brown after the soap set. Be careful though, if you do this, don't get the middle layer of walnut shell too thick. I did, and some of my bars are starting to fall in two pieces because the two soap layers didn't stick well through the thicker areas of walnut shell. I definitely would do this again and be careful about thickness for a middle layer. "LOVE, LOVE, LOVE this walnut shell powder!" COMMENTS: I use walnut shell powder in both my gardener's and work hands soap. The walnut shells provide a nice natural mild exfoliation that is surprisingly powerful! I only use the walnut shell powder in dark colors because the brown will show through otherwise. This is a wonderful product and I love that I can get such a large bag for a great price that lasts forever from WSP! COMMENTS: This wouldn't do well with someone that has a nut allergy (we label it) but I love using Walnut Shell Powder in a few selected scrubs that our best sellers. It is the perfect consistency and easy to work with. COMMENTS: Nice addition to CP soaps. Doesn't discolor and adds just a mild exfoliation. COMMENTS: I love the product. It gives a good level of exfoliant. 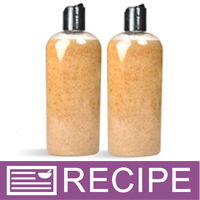 COMMENTS: I have added this to my sugar scrub and it is a great additive for some extra exfoliation. COMMENTS: I use this in one of my top selling soaps. Great for exfoliation! "What is the grain size or mesh size of the Walnut Shell Powder "
"What color does this make cold process soap? " Staff Answer Hi Jennifer, it will depend on how much product you use, but the walnut shell powder should give your CP soap a nice creamy tan color. "What is the grit or particle size of the walnut powder?" It is a very fine grain. Works great as exfoliating in soaps and scrubs. Not too rough. "Is this product powder like or does is really have a exfoliation feel and effect? " It is very fine, but does give exfoliation benefits. 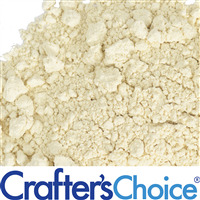 If you're looking for something for a trouble area, like heels, you may want to try something with a larger grain size mixed with it.